POS Online is a web-based management system for F&B, accommodation and retail businesses. POS Online provides a flexible solution with necessary & signature features to support users to run their sales operation smoothly without any dependence on hardware, manage store activities strictly, and upgrade businesses to understand & engage with target customers. With F&B Business, the customer experience is the core to deliver signatures of foods, drinks, or other differences to target customers. 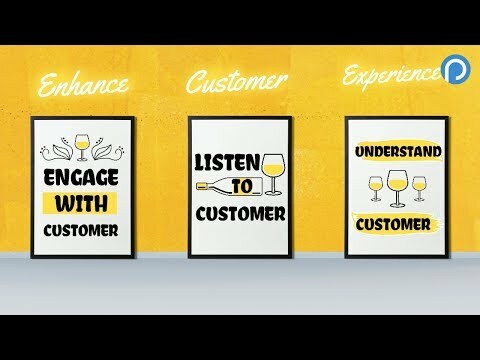 As the system provider, POS Online aims to reveal key & trending concerns to support businesses to improve their customer experience: satisfy customers via the flexible point-of-sale solution that meets the operational requirements of each restaurant model, listen & solve customer feedback, and understand customer behaviors & segmentations to build a rewards program. Besides owning my restaurant, I have other businesses; POS Online supports me to manage all the things and make decisions remotely so I don't need to spend my whole time for my restaurant.I am not very good at technology but with this online software, I feel very comfortable to use just like using normal web pages. I can use all functions of POS Online (from creating sale orders, import/export orders, creating expense; to managing statistics/reports) on my mobile at any time I need. Cheap, easy, and useful. Nothing gets in the way.I love how easy it is to train people to use the software, even the more advanced features. You don't need to be a wiz-kid to pick up this software and master it within an hour (all features!). I love that it's simple when you want, and detailed when you need it. It's cheap, but still great and fast customer chat support! - Only support online & call - Don't supply hardware so we have to manage by ourself - Don't have mobile app yet. But web app is well responsive so good enough. The price includes all features and no limit of login accounts/devices per business. Detailed & visual user guides. Touch screen point of sale. Data visualization through reports & analytics. Below are some frequently asked questions for POS Online for F&B. Q. What type of pricing plans does POS Online for F&B offer? Q. Who are the typical users of POS Online for F&B? Q. What languages does POS Online for F&B support? Q. Does POS Online for F&B support mobile devices? Q. Does POS Online for F&B offer an API? No, POS Online for F&B does not have an API available. Q. What other apps does POS Online for F&B integrate with? Q. What level of support does POS Online for F&B offer?